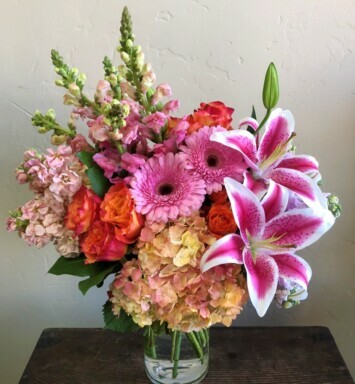 With a blend of blossoms that’s as acid green, black and white as the wicked witch of the west, this wild Halloween display will lift someone’s spirits and carry them away! 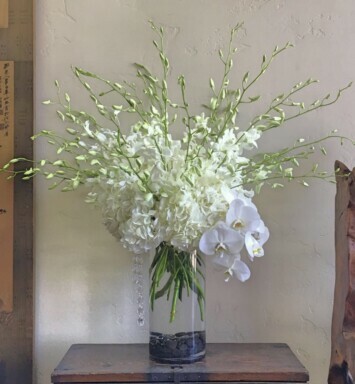 A mix of fresh flowers sets the scene for a theatrical floral arrangement that’s frightening. 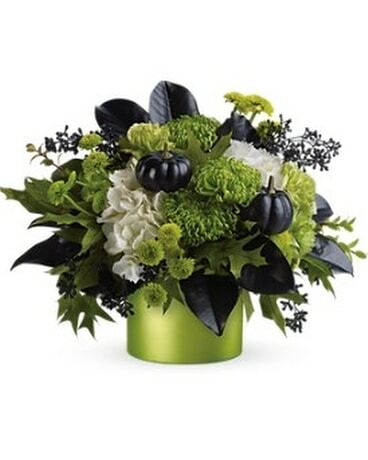 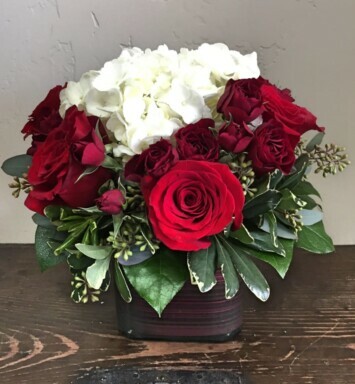 A mix of fresh green carnations and chrysanthemums and white hydrangea – accented with black-sprayed magnolia leaves, seeded eucalyptus and faux pumpkins, plus preserved oak leaves.